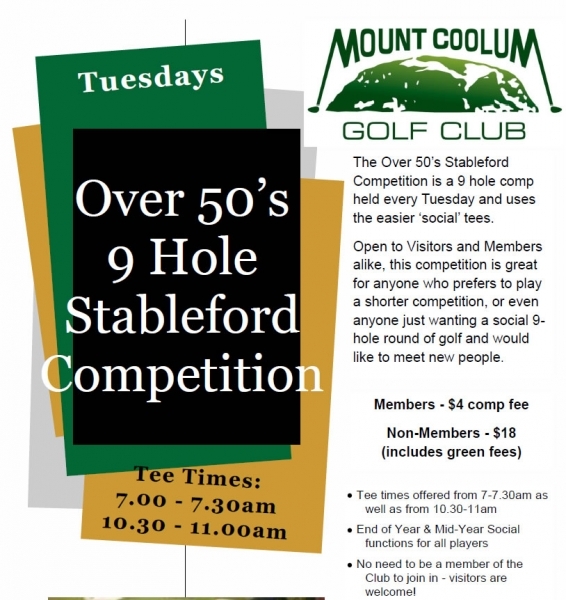 Mt Coolum Golf Club run an Over 50's 9 hole golf comp every Tuesday morning and they are looking for new men and women to join. The comp is open to Visitors and Members alike and is great for anyone who prefers to play a shorter competition and would like to meet new people. There are weekly ball prizes for best score and nearest the pin. The Club puts on a complementary Mid-Year and End of Year lunch for all players. Players are allocated a handicap and we use the Stableford scoring system, which means everyone has a chance to win. There is also a beginners group that meets every Monday morning.